You ever have that occasional night when out of boredom you name off games or features you’d love to see in a future release, but rarely expect to actually see happen? So I did actually come up with the first one a month before Scalebound was announced, and Rocket League was the perfect execution of an idea that’d been bouncing around for years, but that last one, where you’re your own radio DJ in a racing game? That’s something I know that me and quite a few of my friends have wanted for years, but it’s not exactly something that I myself thought would ever be truly done. Then Microsoft showed off Forza Horizon 3 at this week’s E3. 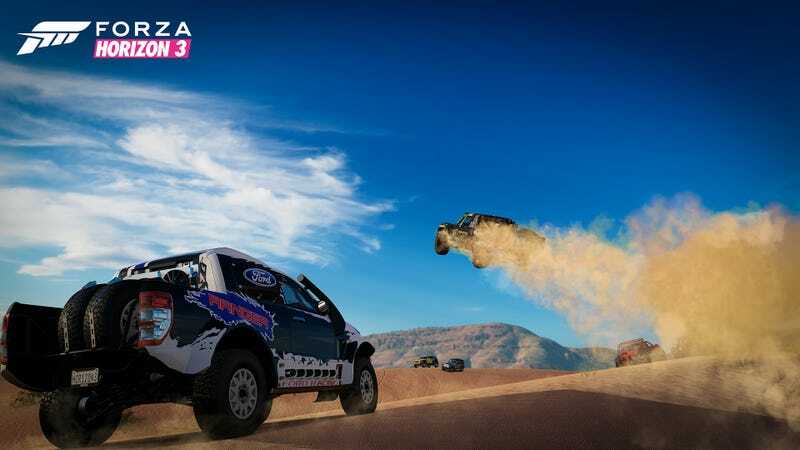 Groove is Microsoft’s music streaming service (what used to be Xbox Music a couple of years ago), and now they’re implementing its 40 million+ song library into Forza Horizon 3. There will still be traditional radio stations, and the game will be introducing new genres like heavy rock, punk, and hip hop (yaaay, hopefully) with licensed music like the previous games, but given how in this iteration you’re now the manager for the Horizon festival itself, it does makes sense that you now have creative control over one of the radio stations. Granted, you might need Windows 10 to fully use this feature, but don’t quote me on that; I personally hope that you can just use Groove on an Xbox One (which itself runs on Windows 10) and make your playlist there. Even so, this is a pretty cool feature, and I can’t wait to try it out. For the past few years Forza fans have lamented over how the music of the series’s Xbox One games haven’t been quite up to par with the previous games on the 360. Now though, they can make their own playlists, and have the ultimate driving experience: dream cars with the perfect soundtrack. Major kudos to Turn 10 and Playground Games for listening to the fans. Forza Horizon 3 is out on Xbox One and Windows 10 September 27th, 2016.